This is contained in the daily ‘Shipping Position’ issued by the NPA, a copy of which was made available to the OnepageAfrica in Lagos. 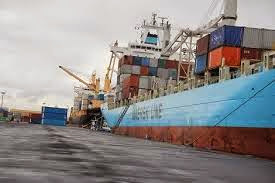 The document indicated that 13 of the expected ships will sail into the ports with containers, while six others would sail in with general cargoes. It noted that 10 ships would sail in with bulk sugar, buckwheat, bulk salt, crude palm oil and rice. The document explained that eight other ships would sail in with petrol, diesel and kerosene. OnepageAfrica reports that seven ships laden with rice, petrol, diesel and base oil had arrived the ports, waiting to berth.